This apartment in London was fully renovated and reworked by k-studio, and as part of the redesign they enclosed the kitchen in a Larch clad box. Hidden within the wood box, which opens up to the dining and sitting room, is everything that a normal kitchen would have. Folding doors open and neatly tuck into a space that lines up to the wall at the end of the kitchen. 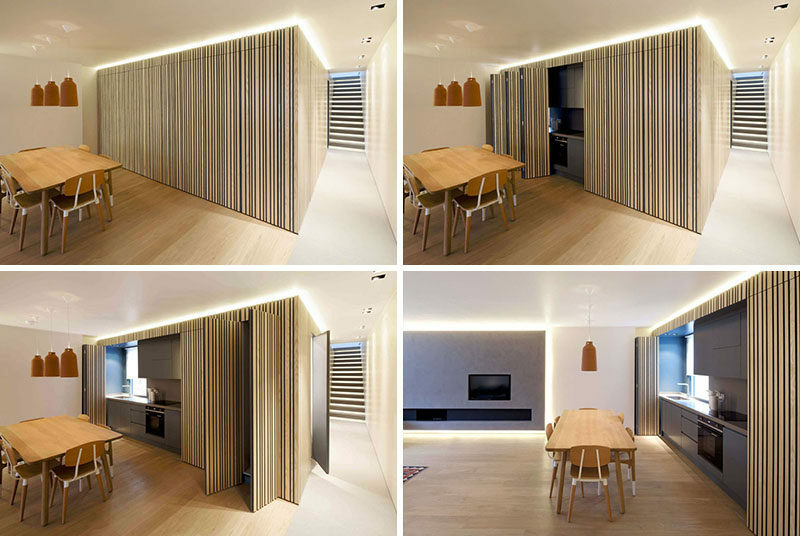 The box also allows the apartment to have lighting hidden above it to create a soft glow.